These samples are taken from ISR's Vintage Breaks Volume One so if you already own this sample pack then you don't need to buy this pack. If you don't own the pack, this special version contains all you need to get that old school break beat vibe in your production work ! The loops were created in various tempos and formats to meet the needs of any producer. Vintage Breakbeats contains Apple Loops, Rex 2, Acidized Wav as well as one shots to create your own patterns. The pack was produced and recorded by Lenny Dee and Derek Nievergelt at the Tight Spot Studios in Brooklyn New York. 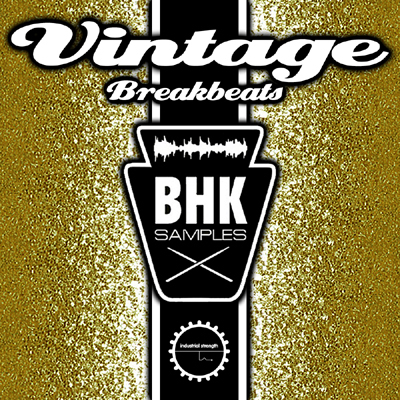 The drum loops and samples were recored in 24 Bit 44.1 k.
If your looking for that kicking old school break beat and don't want to worry about sampling a record and running into copyright issues, then Vintage Breakbeats is the perfect solution for your production needs.